Harold McGee's 'Keys To Good Cooking' For Chefs What's the difference between wooden and plastic cutting boards? When should you throw out frozen fish? 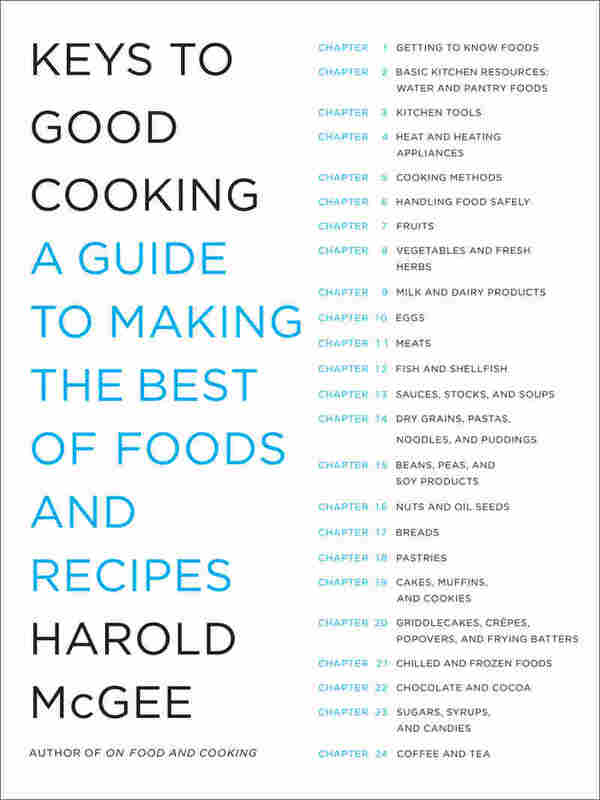 Harold McGee, an expert on the science of food and cooking, untangles these kitchen mysteries and more in his Keys to Good Cooking. Harold McGee writes that the flavor of most vegetables exists to deter others from eating them — which may explain the pungency of mustard greens. 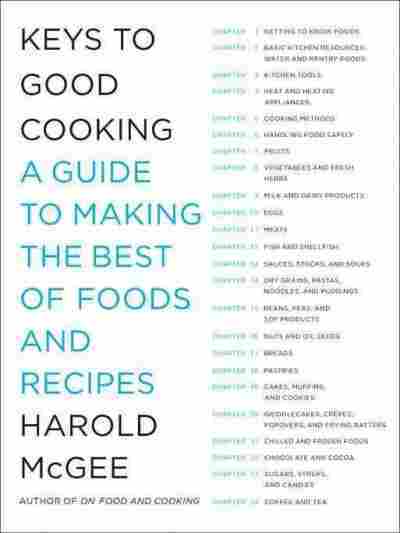 Harold McGee's best-seller On Food and Cooking has become a reference tool for many home chefs. The book details the science behind cooking techniques and explains the history behind some of our most popular food items. Among other things, McGee explains why peppers are hot, why seafood gets mushy if you cook it incorrectly, and the best ways to make mayonnaise. His latest book, the Keys to Good Cooking, is a how-to guide for home chefs in which McGee, a food science expert, explains techniques for kicking recipes up a few notches. McGee details why people perceive flavors differently, offers his thoughts on seasonings and explains why searing meat doesn't seal in the juices. On heating up meat, eggs or fish: "We're trying to reach temperatures inside the [protein] around 150 degrees Fahrenheit. ... It's very easy to overcook. ... Realizing that helps you appreciate the value of low-temperature cooking. You can get some great flavor on a roast by starting it at a high temperature in the oven to get some nice browning on the outside surface on the roast. But then what you want to do is turn the heat way, way down so you cook the meat through much more gently and have a bigger window of opportunity when the meat is the correct temperature inside, [150 degrees Fahrenheit] which is much lower than the cooking temperature." On the efficiency of gas vs. electric stovetops: "Many of us interested in cooking put a premium on big burners — powerful burners that are going to pump out a hot of heat so we can get woks really, really hot. It turns out that gas burners, as we all know from working with them and looking at them, actually send a lot of their heat into the kitchen instead of the food, just by the fact that it's an open flame. So most of the energy generated in a gas flame actually goes elsewhere than the food. In the case of a very ordinary electric stove, they're much more efficient. Even though their power rating may be lower than a fancy gas burner, they'll bring a pot to boil much faster." 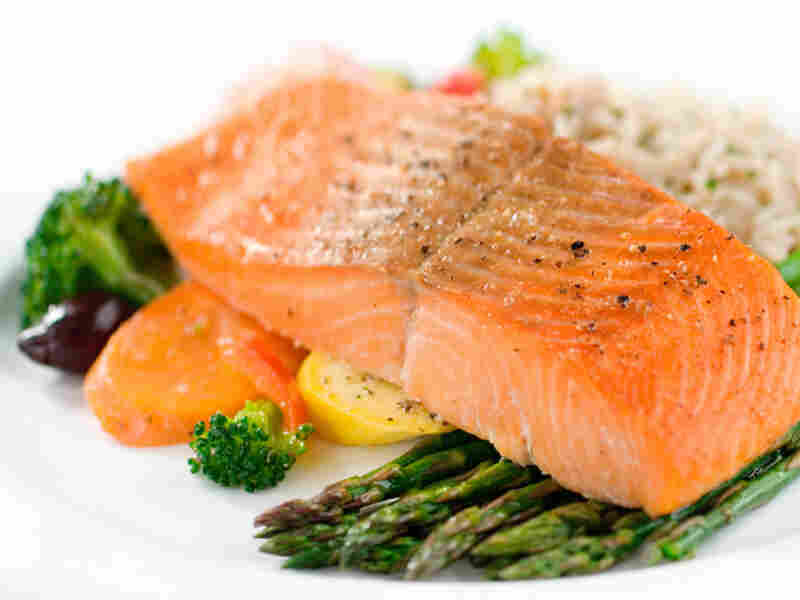 Pick the freshest piece of fish you can find to avoid a fishy odor, says McGee. And then rinse your cut thoroughly — because odor develops at the surface. On microwaves: "It turns out when studies have been done on retaining vitamins in vegetables, for example, microwave ovens do a much better job than boiling or even steaming. It's a very good, very quick way to heat food, and I do cook vegetables in the microwave. I cook thin fish fillets in the microwave in just a matter of a minute or so. It's also a reasonable way to cook something like polenta, which traditional recipes would have you stand at the stovetop and bring the pot to a boil and then drizzle the polenta grains into the pot, stirring all the time to make sure they don't stick to each other. In a microwave, you just mix cold water [and] polenta, turn on the microwave and basically the polenta grains swell and absorb the water as they heat up and you don't have to worry about all the usual things that you worry on the stovetop." On making crispy fish: "The best thing you can do for yourself is get a relatively thick piece of fish. In order to get that crisp outside, you need to be cooking at a high temperature. Usually that's going to be in a frying pan and the frying pan surface will be maybe 300 or 400 degrees. But if you are working at that high a temperature, you're going to be cooking the fish through pretty quickly and that's going to toughen the inside. So what you want is a thick enough piece of fish so you can brown the outside without overcooking the inside because there's a lot of inside to cook through." Harold McGee is the author of several books on the chemistry and history of food. 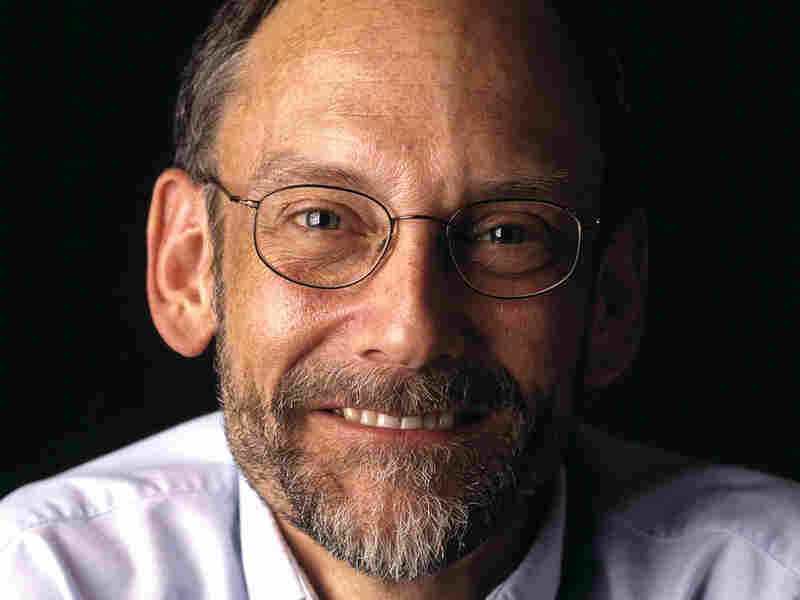 He also writes a regular column debunking kitchen myths for The New York Times. On wooden vs. plastic cutting boards: "It turns out that wooden cutting boards are good in a couple of ways — they're porous so they tend to soak up juices from cutting meats and fish, for example, and that carries the bacteria down into the cutting board where they're not at the surface anymore. And woods often contain anti-bacterial compounds in them so there's kind of a natural antibiotic in the surface of the wood. Plastic cutting boards are easier to clean and are safer to put in the dishwasher, for example, but they also will tend to develop scars and bacteria will lodge in the scars and cause problems later. So I actually have a couple of each and use both. When a plastic cutting board develops scars, I replace it." On beans, beans being good for your heart: "The bean family tends to feed its seedling with carbohydrates that unlike starch or sugar, our bodies are not capable of digesting. We can handle starch and sugar molecules just fine but we cannot deal with these oligosaccharides. So what happens when you can't digest something, well, it just stays in your digestive system instead of being absorbed. It turns out that the bacteria that live in our large intestines are perfectly capable of digesting these oligosaccharides and when they do so, they generate a variety of gases: hydrogen, methane and that's why we end up with gas when we eat beans." Cooking can be one of the most satisfying things we do in life. It's a chance to make things with our own hands, nourish and give pleasure to people we care about, and choose exactly what we eat and make part of ourselves. It's also a way to explore the astounding creativity of the natural world and thousands of years of human culture, to taste foods and traditions from all over the planet at our own table. This endlessly rewarding quality is what has kept me delving into cooking for more than thirty years. Cooking is especially rewarding when it goes well! It's true, as we're frequently reminded, that the only way to become a good cook is to cook, and cook, and cook some more. But many of us don't manage to cook that frequently, and frequent cooking can also be cooking by rote, habitual and mediocre. The surest way to cook with pleasure and success -- whether you're a beginner, a weekend gourmand, or an ac­complished chef -- is to cook with understanding. This book is designed to help you cook better by explaining what foods are, how cooking changes them, which methods work best, and why. Keys to Good Cooking is not a cookbook. Recipes we have in abun­dance, in print and on the Web, from across the globe and across the centuries, from professionals and celebrities, families and friends. Instead, this book is a guide to help you navigate through the ever-expanding universe of recipes and arrive at the promised land of a satisfying dish. It's easy to get lost along the way. Some recipes give reliably good results, but many don't. Some are sketchy and leave us guessing how exactly to proceed. Others are intimidatingly long and detailed. Dif­ferent recipes for the same dish may give contradictory directions and explanations. Some place faithfulness to tradition above realistic han­dling of today's ingredients. And many perpetuate old misconceptions and flawed methods. Even good recipes are no guarantee of success. At best they're an incomplete description of a procedure that has worked for the recipe writer. Whenever we cook from a recipe, we have to interpret and adapt it for our kitchen, our ingredients, and our experience. And the process of interpretation and adaptation is just as important to success as the recipe itself. A good recipe can be badly made. Happily, it's also true that we can redeem a flawed recipe by seeing its flaws and correcting them as we adapt it. Keys to Good Cooking is meant to be a constructively critical compan­ion to your recipe collection, and a guide to the kitchen, gadgets, ingre­dients, and techniques with which you turn recipes into foods. It's a concise summary of our current understanding of food preparation. It provides simple statements of fact and advice, along with brief explana­tions that will help you understand why, and apply that insight when­ever you cook. It will help you evaluate recipes, recognize likely flaws or problems, and make adjustments and corrections as you go. And I hope it will help you put aside recipes, improvise and experiment, and come up with your own ways of doing things. The first six chapters of this book describe the range of tools and pantry ingredients available to the home cook, how heat and basic cooking methods work, and the essentials of kitchen safety. These subjects aren't likely to be at the top of your need-to-know list, and you may figure you already know what you need. But because we usually equip our kitchens and pantries piecemeal, and only pay attention in emergencies to how the oven works or doesn't, it can be a real eye-opener to pause and take a closer look at these things. Once you think about how heat actually flows into and out of our foods as we cook, you'll understand why standard stew recipes often dry out the meat, why a medium-hot oven can scorch baked goods, and what you can do to make sure you don't have those problems again. And did you know that thorough cooking not only can't kill some tough forms of bacteria that sicken us, it actually awakens them into rapid growth? Watch those leftovers! The most important kitchen facts are often the least obvious. So I suggest reviewing these early chapters every once in a while to get better acquainted with foods and appliances and cooking methods, no matter how familiar they seem. And take the time to read through chapter 6, "Cooking Safely." Tens of thousands of Americans are made ill by food every day, many of them due to unnecessary mistakes made by cooks who could and should know better. 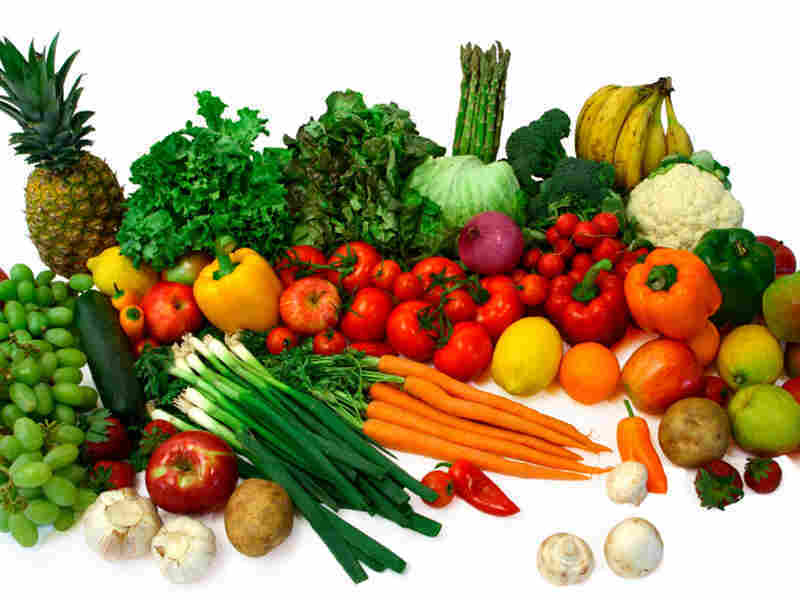 The remaining chapters are organized by ingredients and kinds of preparations. Read the introductory sections to find out how to recog­nize and handle good ingredients.Then, when you're cooking a particular dish, go to the paragraph or two devoted to that kind of preparation. Review the facts and the various possibilities before you start cooking, to help you choose a recipe or make adjustments to the one you've cho­sen, and just to get organized. If a problem or question arises as you go, if a step needs clarification, check again. • Searing meat does not seal in its juices, and moist cooking methods do not make meats moist. Juiciness depends almost entirely on how hot you cook the center of the meat. If it gets much hotter than 150 degrees F/65 degrees C, it will be dry. • Meat overcooks quickly. Low heat slows cooking and gives you the greatest control over doneness. • Most recipes can't predict correct cooking times. There's no substitute for checking meat doneness yourself, early and often. Brining is the immersion of meat in a weak solution of salt and water, with or without other flavorings, for hours to days before cooking. Injecting brine into the meat interior speeds the process. The salt penetrates the meat, seasons it, and improves its ability to retain moisture and tenderness. Brines of a certain strength, 5 to 10 percent salt by weight, also cause the meat proteins to absorb extra water from the brine, making the meat seem exceptionally juicy when cooked. Very lean poultry and pork can benefit from this extra moisture, especially when they're overcooked. Brine selectively. Brines have drawbacks: they dilute the meat's own flavorful juices with tap water, and usually make the pan juices too salty for deglazing into a sauce. Whole birds are a challenge to roast well. Their breast meat is low in connective tissue and best cooked to 150 degrees F/65 degrees C for chickens and turkeys, 135 degrees F/57 degrees C for duck and squab. But their leg meat is high in connective tissue and best cooked to 160 degrees F/70 degrees C, and their skin is best cooked to 350 degrees F/175 degrees C to make it crisp and brown. • Don't stuff the body cavity or rely on a pop-up thermometer. Stuff­ing must be heated to 160 degrees F/70 degrees C to kill bacteria, so the breast meat will be overcooked and dry. Pop-up indicators pop only when the breast meat is already overcooked. Now you can decide for yourself whether you want to have a brine-moist turkey or an edible pan sauce, a moist breast or an in-bird stuffing, and you can add a cooking thermometer to your pre-Thanksgiving shopping list (and consult p. 45 for advice on thermometers). You'll notice that the pages of this book have plenty of blank space. That's because the words on them aren't the last, just the first. The margins and line spaces are there for you to fill with new information and ideas as they come along, and especially with notes specific to your kitchen, your tastes, your discoveries -- your own personal keys to good cooking. I hope that your copy of this book will quickly become well stained and marked up, and will long help you cook with insight, pleasure, and success. Excerpted from Keys To Good Cooking by Harold McGee. Copyright 2010 by Harry McGee. Excerpted by permission of Penguin Press HC, a division of the Penguin Group.